Special Projects Group Inc. has a wide range and many years of electrical engineering experience. Where you want us to start and where you want us to finish is up to you. We can start with the idea and supply you with production volume product. Or any points in between. For a detailed list of designs we have done, click here. SPG Inc. - Special Projects Group Inc. offers a wide range of electrical engineering products design and development capabilities. We can satisfy your electrical circuit design needs with a team of highly skilled engineers and technicians with decades of experience in analog and digital electrical circuit design. Utilizing state of the art technologies, our staff can respond rapidly and efficiently to bring your product from concept to realization. SPG Inc.'s electrical engineering and circuit design team has worked on a variety of products. 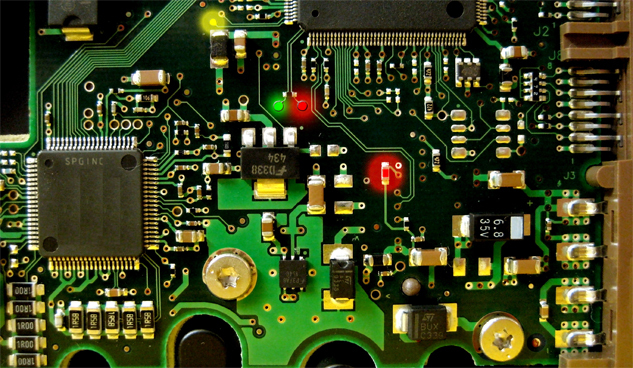 Consumer electronics, Telecom devices, Streaker cards, Testing products, computer peripherals and communications products are just a few of the many product categories in which we have extensive analog and digital electrical circuit design knowledge and experience. Regulatory compliance such as FCC, UL, CSA, etc. Industry compliance for Telecom products; NEBS and GR1089. © Copyright 2008 ~ 2018 Special Projects Group, Inc. - SPG Inc. All Rights Reserved.